As a food supplement for adults, two (2) vegetable capsule daily, preferably at mealtime, or as directed by a healthcare practitioner. Do not exceed directions for use. 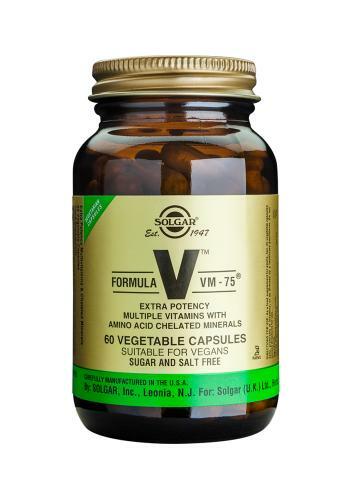 Solgar's VM-75® Vegetable Capsules are free of corn, yeast, wheat, soy and dairy products and are formulated without the use of preservatives, artificial flavours or colours.